What's Poppin' Tonight! 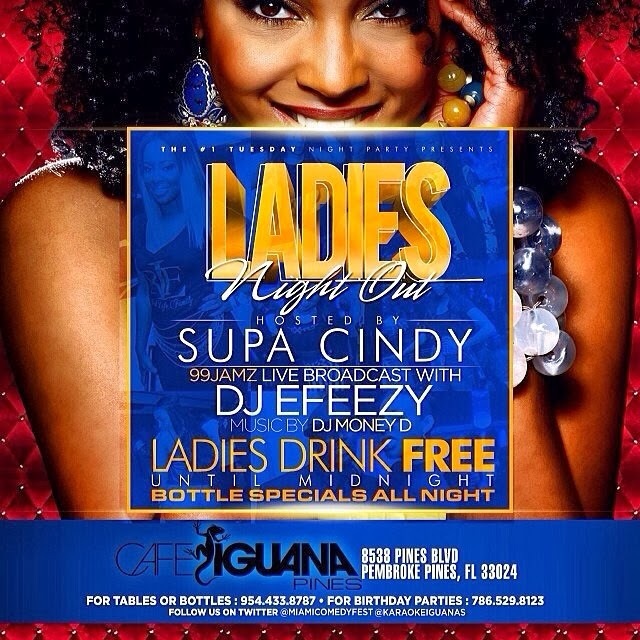 Touch The Mic Tuesdays and Ladies Night Out at Cafe Iguana Pines ~ Phresh Hott New! Tonight! 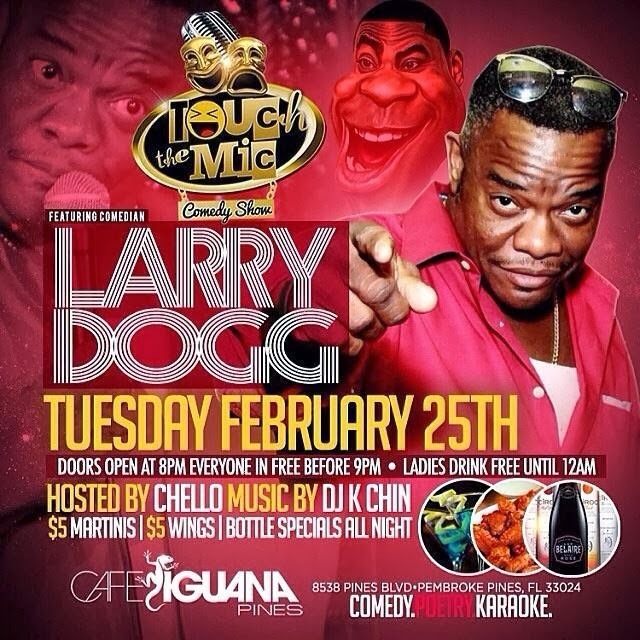 Touch The Mic Tuesdays comedy show featuring guest comedian Larry Dogg at Café Iguana Pines. Hosted by Chello Music by DJ K Chin! And also #LadiesNightOut with 99 Jamz Live Broadcast Hosted by Supa Cindy and many more. Music by DJ E-Feezy and DJ Money D. Ladies drink free until midnight. Bottle specials all night long! -The Comedy show kicks off at 9PM in the Comedy Room until Midnight. -Food and Bottles Specials all night. BOTTLE SPECIALS ALL NIGHT! For bottle service and table reservations, please call 954.433.8787.